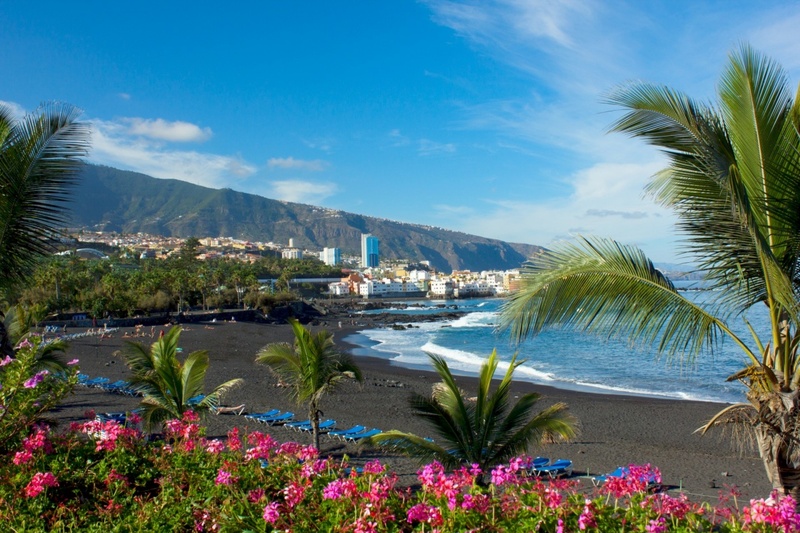 One of the highlights for many tourists on holiday in Tenerife is the spectacular beaches. 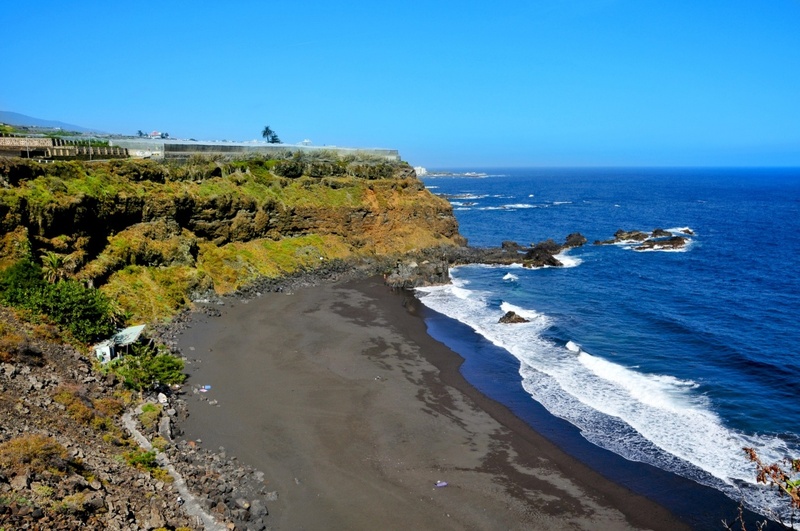 Thanks to the volcanic nature of the island there are plenty of natural beaches with characteristic volcanic black sand. But if that’s not your thing, there is also a handful of manmade bays with golden sands which have been imported from other Canary Islands and Africa. 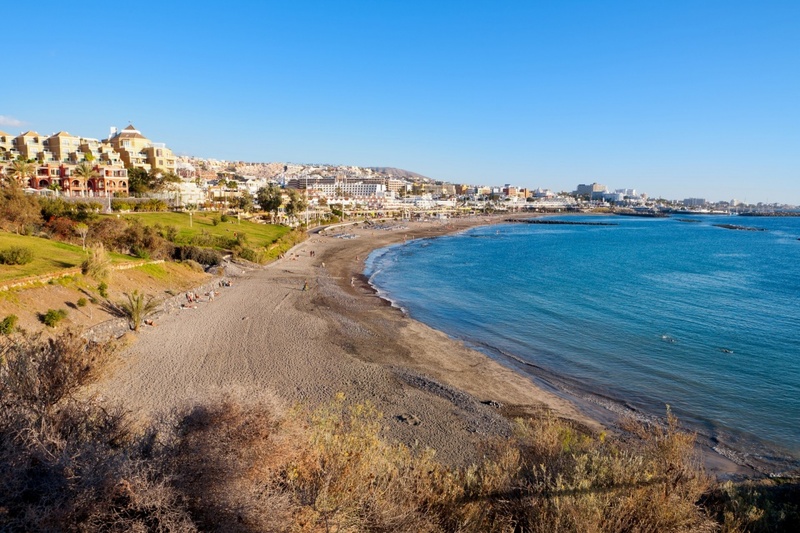 Many of the beaches found in Tenerife are easy to access and meet or even exceed the European standard for cleanliness, services and facilities. The island is home to 14 of the 46 Blue Flag beaches in the Canary Islands, each of which has been given the award in recognition of the high quality of water, superb range of amenities and flawless wheelchair access, amongst several other qualifiers. Although Tenerife is surrounded by the Atlantic Ocean, the average sea temperature is pleasantly warm throughout the year, so you’ll always be able to take a dip – whatever month you visit. Due to the popularity of the beaches, many of them are lined by bustling promenades where you’ll find low-cost supermarkets, cool ice cream parlours, international restaurants and plenty of bars to choose from. Playa Jardín is one of the most popular beaches in the north of the island. Located in the lively resort of Puerto de La Cruz, this black sand bay is framed by beautiful native plants and offers stunning views up to Mount Teide. Although the sea is generally too rough for swimming, the comfy sun loungers and protective parasols provide the ideal conditions for soaking up the sun or taking a siesta in the shade. Found toward the northern end of Santa Cruz de Tenerife, Playa Las Teresitas is one of the most photographed beaches in the whole of the Canary Islands. Here golden sands stretch on for over one kilometre, alongside the aquamarine ocean which is protected by breakwaters, providing the ideal conditions for swimming. There are plenty of amenities for visitors to take advantage of, including parking, sun beds, parasols, showers and a small beach bar which serves drinks and snacks throughout the day. 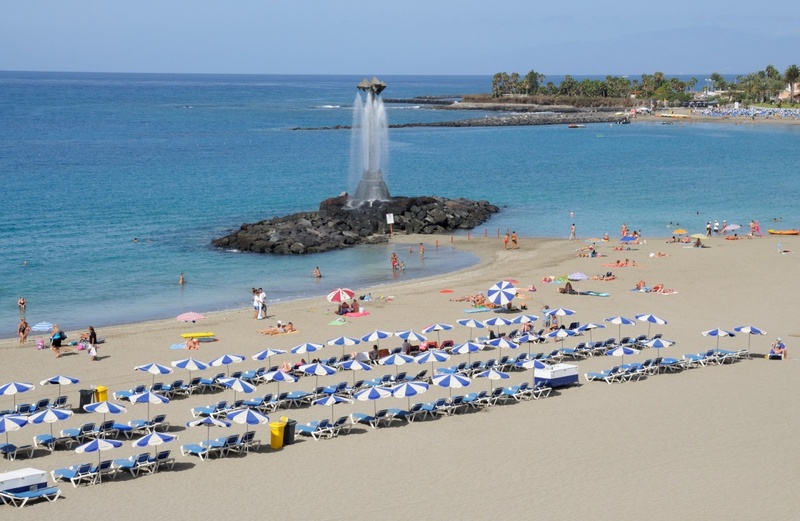 One of Tenerife’s best-kept secrets, Playa Bollullo is a very secluded beach situated in Puerto de La Cruz. This bay can only be accessed on foot by trekking through numerous banana plantations and along various cliff edges. Although it’s a challenging walk, it’s more than worth it to be rewarded with a stunning volcanic sandy bay which you’ll have almost all to yourself. Although there are no facilities available, there is a small beach bar which serves up Canarian specialities throughout the day. Playa del Duque is a top choice for families looking for a great place to spend a day together under the sun. 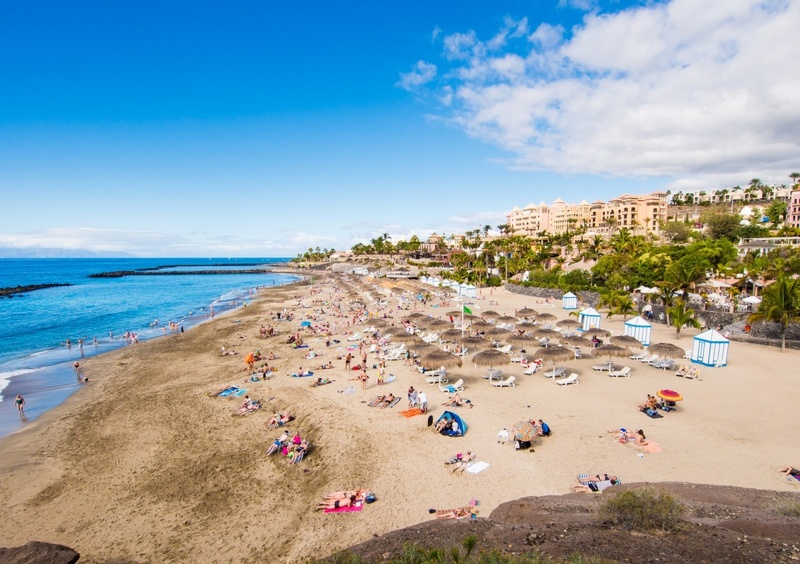 Regarded by many as the most beautiful beach in the south of Tenerife, Playa del Duque offers a huge range of facilities, including sun beds, shades, showers, changing rooms, toilets and even a massage service. The waters are ideal for swimming and there are often some gentle waves which are great to splash about in. There is plenty of parking available in the area, as well as a wide choice of shops, cafes, bars and restaurants. Another great pick for families, Playa Fañabe is ideally located, just a short walk away from a number of hotels, eateries, supermarkets and shops. There is plenty to keep the little ones amused here, with several shaded playgrounds, crazy golf courses and even an inflatable play area in the sea. Waves are practically non-existent at this beach, so it’s perfect for swimming. Amenities are numerous and include sun beds, shades, showers, toilets, beach bars and lifeguards. Water sport enthusiasts won’t want to miss the chance to visit Playa Las Vistas. 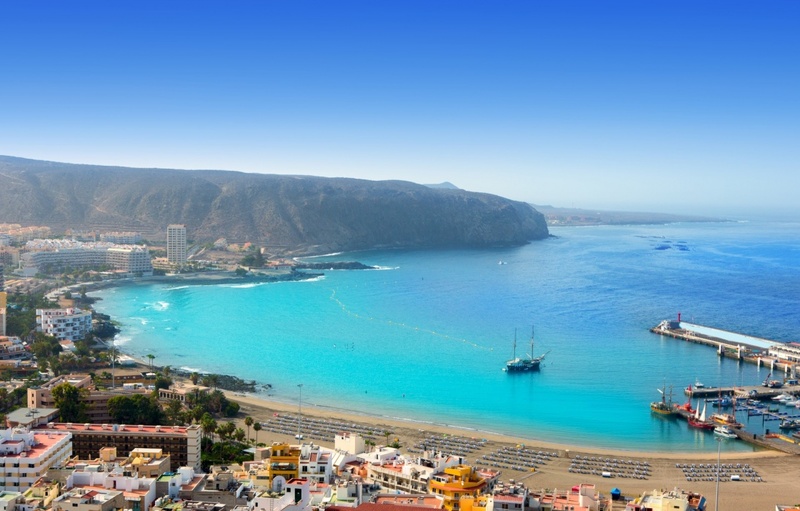 Nestled between the resorts of Playa de Las Americas and Los Cristianos, this beach offers loads of activities for the whole family to enjoy, including jet skiing, pedalo hire, banana boating, kayaking and parasailing. There is a wealth of facilities available, too, ranging from sun loungers and parasols to wheelchair access and toilets. As with many beaches in the tourist resorts, Playa Las Vistas is lined by a lively promenade with a number of bars and restaurants offering cheap food and drink throughout the day.